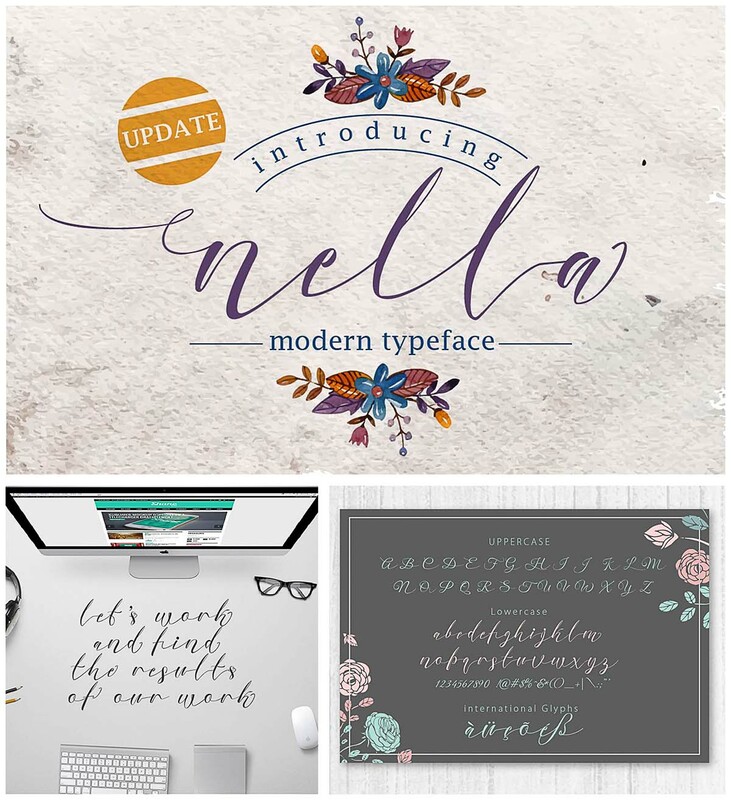 Introducing Nella script – modern calligraphy typeface with elegant touch. Can be used for various purposes, such as headings, signature, logos, wedding invitation, t-shirt, letterhead, signage, lable, news, posters, badges etc. Tags: calligraphy, Elegant, girly, hand drawn, script, simple, typography, wedding.